Your home entertainment options are gong to change dramatically in the coming years. You’ll have fewer boxes under your TV and maybe even fewer ISP-supplied boxes in your office. But ISPs aren’t willing to give up their preferred point of entry for broadband or even pay TV in the home. So what can they do to control video and still get consumers to keep their boxes? Better Wi-Fi might help. Cisco (s csco) has hired a banker to peddle the networking giant’s Linksys wireless router business, while Google (s goog) has been shopping the set-top box business it acquired when it purchased Motorola in May. The business motivation behind these sales contain insights about how television services are delivered in the home and present an opportunity that ISPs could take advantage of if they want to keep customers hooked on their boxes in order to maintain a device inside the consumer’s premise. Most people are aware that their TVs, their gaming consoles, their Blu-Ray players and an assortment of other devices are now able to deliver content from a widening array of services such as Netflix, Hulu or Amazon. From a practical standpoint, this means consumers may find their entertainment centers less cluttered with Rokus, Boxee Boxes or maybe even a dedicated Blu-Ray player. This means consumers can get rid of myriad boxes, but the question is whether or not they will ever see the end of the set top box provided by their cable provider. Some analysts, and even a few cable execs believe this day is coming. 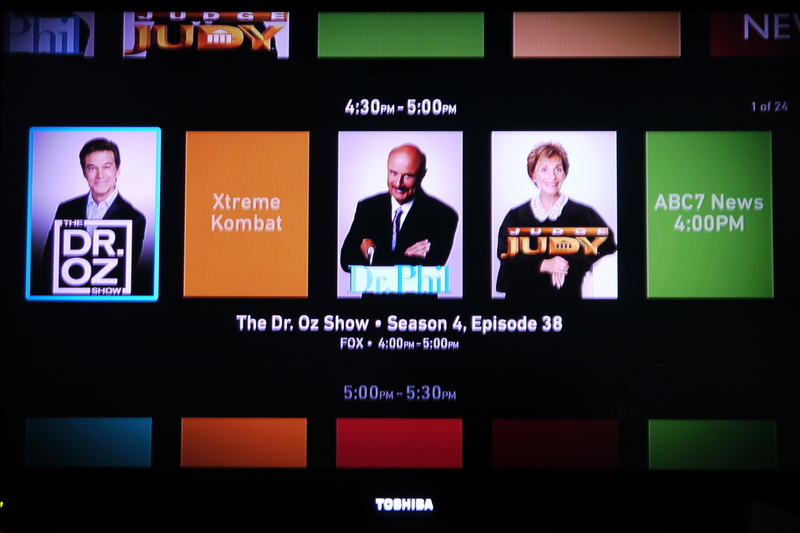 Already pay TV providers are eying channel guides and video on demand shows in the cloud instead of on a box. The set-top box in most cases provides three things, authentication, channel guides and a hard drive to store content. But as cable providers look for more interactive channel guides or recommendation technology, moving those off the box makes sense. Meanwhile Comcast has aggressively been moving toward streaming of its on-demand shows to meet customer’s demands to watch content on any device. And that brings us to the opportunity that ISPs are missing. While Cisco may see the Linksys business as played out, I think the idea of better home Wi-Fi is finally here and ISPs are the ones who could provide it. Many Americans get their wireless routers from their ISPs integrated as part of the modem. This made the Linksys (or any other) routers less of a necessity over time (although I can still remember hiding mine in the early days of Wi-Fi when the cable repair man came over because my provider charged a $10 Wi-Fi fee for customers bold or tech savvy enough to use their own router). However, I still don’t use the integrated Wi-Fi router that comes standard in my cable modem, because it’s terrible. And therein lies the opportunity for ISPs. They need to build better Wi-Fi into routers and advanced controls so users can tweak their networks for their own usage — especially for video sent over home Wi-Fi networks. Then, ISPs will get the advantage of having a certified box inside a customer’s home, even as those boxes are integrated into software and cloud-based services. Even though ISPs may love the cloud and the cool features it provides on the set top box, and even though they might no longer see a need for caching content inside the home to offset some of the demands on the last mile network, they still want a presence in the consumer home. They may call it the modem or the set-top box or a gateway, but they want a place to manage the flows of packets and deliver the quality of service customers expect. Without that box, they may as well be dumb pipes. What boxes and features do you really need? So, let’s see better routers. For example, a year ago Time Warner cable installed a combo modem/router in my home that offers 802.11n, but with 802.11a/c routers hitting the market this past year that support faster data rates in the 5GHz band for things like video, it’s worth looking at an upgrade. However, the life of ISP consumer equipment can be long, which means if I used that modem and router I’d be stuck using technology that will likely mean my Netflix viewing pixelates when more than one of us are watching a show. Another option for telcos are services such as the one ASSIA provides to DSL users. The company’s new Wi-Fi Management product was released in October, and helps ensure a better Wi-Fi experience in the home by managing the throughput of the networks in the home and back to the telco’s central office. That’s a service worth having, and if Time Warner offered it I might actually use its router (ASSIA right now can only offer the access line support for telcos deploying its DSL tech). So maybe the company that decides to buy Linksys can see if there’s a market for selling service providers better Wi-Fi routers along with their modems. Because otherwise, as integration on the consumer hardware side continues, ISPs might end up seeing their presence in the home dwindle down to a basic modem — or worse, a coaxial or DSL jack in the wall. No wonder Google doesn’t want to be in the business. I can see Set Top box going away ! You are confused about Cable /DSL Modem/ PON these things are needed, majority people end up buying these things as cable companies end up charging for the modems, I do not see AP in my Home being controlled by Cloud ISP thing, this will restrictive people will not go for it. So AP will be customer controlled & owned devices. All the hype around 80211AC is not compelling, how many video sources are you going to stream around inside your home, 80211n allows at least two today, 80211AC bandwidth is only valid when you have a 802.11AC Client node in your home with four antennas and Beam forming mode. I still have 802.11g clients at my home, even with 80211n 3X2 AP. Indeed…a set-top box to identify your customer is an archaic concept.